Do you like to waltz with potatoes? Can a squash make you smile? Well then good news! Bob the Tomato and Larry the Cucumber are back in an all new VeggieTales adventure, and this time there’s a new vegetable in town. 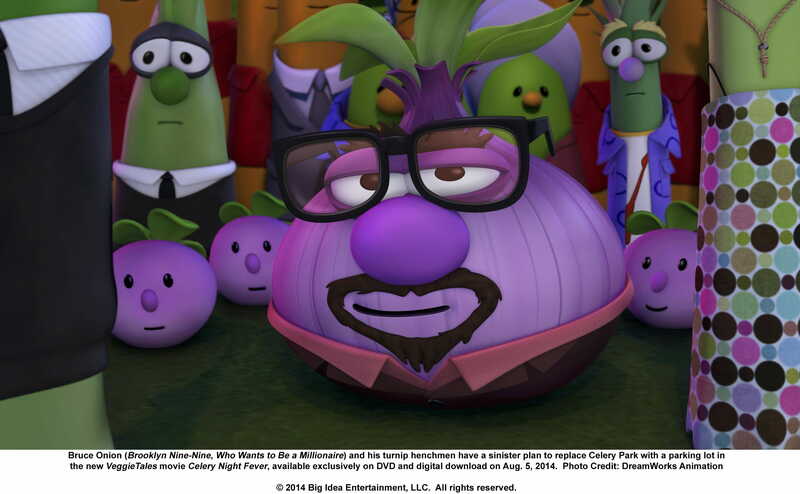 Terry Crews (Brooklyn Nine-Nine, The Expendables) guest stars as Bruce Onion, a disreputable real-estate developer who wants to tear down Celery Park and turn it into a parking lot. When Laura Carrot and Junior Asparagus catch wind of the nefarious scheme, they decide to save Celery Park by reuniting the legendary band The Groovy Brothers for a fund-raising concert. There’s just one problem, The Groovy Brothers haven’t spoken to each other in years because of some longstanding grudges. Can these friends learn to forgive each other before it’s too late? 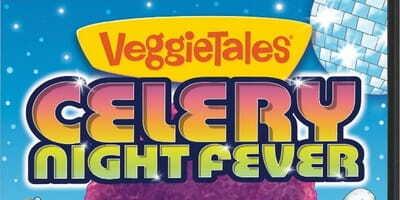 Featuring plenty of music, fun, and Christ-centered values, Celery Night Fever debuts August 5th exclusively on DVD. For an exclusive clip of Crews new character, just click here.